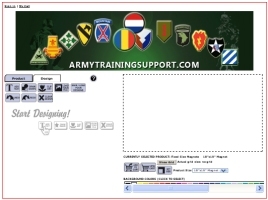 Starting in 2005 the 1st Infantry Division (Mechanized) began transformation to the US Army's modular force structure. Under this transformation each reorganized brigade combat team would include a cavalry squadron. Previously heavy brigades had only featured a brigade reconnaissance troop. 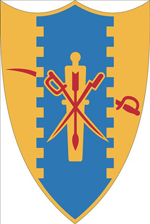 When 3rd Brigade, 1st Infantry Division (Mechanized) was reorganized and redesignated as 3rd Brigade Combat Team, 1st Infantry Division (Mechanized), its brigade reconnaissance troop, F Troop, 4th Cavalry was reorganized and redesignated on 16 April 2007 as Headquarters and Headquarters Troop, 6th Squadron, 4th Cavalry, with its other elements concurrently activated. In July 2008 the 6th Squadron, 4th Cavalry began serving a 15 month tour of duty in Afghanistan with the 3rd Brigade Combat Team, 1st Infantry Division (Mechanized).